According to research conducted by W.H.O., every year, around the world, over a million children below five years of age die from pneumonia. This number is far more than those who die from Malaria, AIDS or tuberculosis. So, what exactly is this black monster that takes with it so many innocent lives? Pneumonia is an acute form of respiratory infection in the lungs caused by viruses, fungi, and bacteria. When a normal person breathes in air, the air fills the small sacs in the lungs. However, when a person suffering from pneumonia breathes in air, fluids and pus fill the sacs and make it difficult for the patient to breathe. As we go on, You may take a look at these best home remedies for pneumonia. What Are the Symptoms and Risk Factor of Pneumonia? Some major symptoms of pneumonia include fever, coughing up mucus, diarrhea, vomiting, chest pain, difficulty in breathing, rapid breathing or shortness of breath, tiredness, rapid heartbeats, nausea, loss of appetite and chills. One can cure pneumonia at home in 2 to 3 weeks. However, patients who suffer from chronic illnesses such as diabetes, asthma, chronic bronchitis, and heart disease should consult their doctors at the first sign of pneumonia. Pneumonia can affect anyone at any time but is more common in children and the elderly. The latter are prone to suffering from healthcare-associated pneumonia, which spreads as a result of being in a hospital or another health care facility for a long period. Community-acquired pneumonia is common in children, as they go to school or other social places. It is always advisable to seek medical advice, though it can also be treated at home. Listed below are a few home remedies to prevent pneumonia. 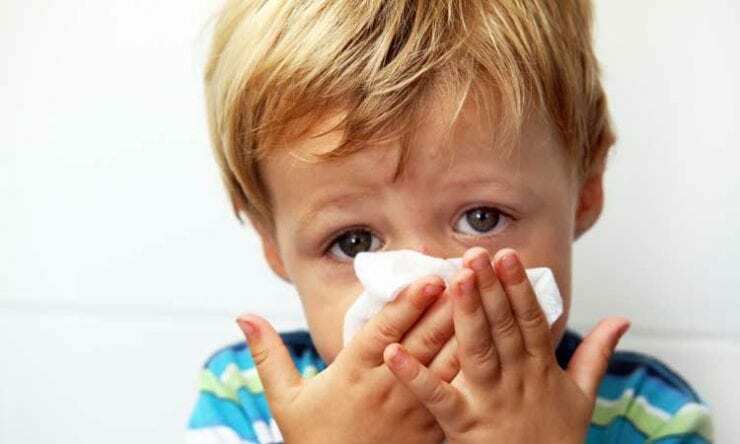 In infants can get infected if their mother is infected showing, pneumonia symptoms or suffering from other respiratory infections and diseases. Smoking cigarettes and having related complications, like emphysema of damaged lung. Difficulty in swallowing due to chronic diseases like diabetes, heart disease or stroke. What are the Home Remedies for Pneumonia? Cayenne pepper helps the body release mucus from the respiratory tract, which makes it easier for the patient to breathe and help in minimizing the pneumonia symptoms. Fill a jug with 250ml of water, add 1 tsp of lemon juice and sprinkle a little cayenne pepper. Drink the water, at least, 4 to 5 times every day. In a juicer, make some carrot juice of about 3-4 carrots. Sprinkle some cayenne pepper. Fenugreek helps remove toxins from the body through perspiration. 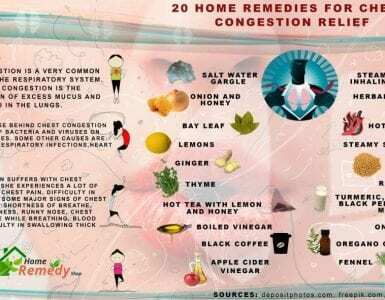 It also helps clear any congestion in the chest. Take 500ml of water in a pan and combine one teaspoon full of fenugreek seeds. Bring it to a boil and strain. Add about one teaspoon of lemon juice and drink minimum four cups in a day. Garlic is very hot for the body and, therefore, helps reduce the body temperature. Whilst it may leave you with a bad breath, it will help clear the chest and lungs. Garlic also has anti-inflammation properties to help treat pneumonia. Make a paste of a few cloves of garlic and rub it on your feet before going to bed. Put on your socks and go to sleep. Blend milk and water in the ratio 1:4 and blend 1½ teaspoons of garlic paste. Boil till it reduces to ¼. Have this drink 3 times a day; continue consuming it till you feel better. You can also have it in the form of sweet and sour chutney. Crush some cloves of garlic, and mix 1 teaspoon of lemon and 1 teaspoon of honey to it, then stir well. Have a teaspoon, at least, 4 times every day. Take a steam bath. 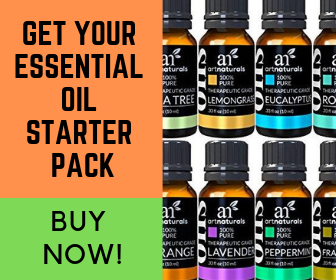 Fill a bucket of water with some hot water and put in a few drops of any essential oil that you may have around the house such as tea tree, lavender, camphor or eucalyptus. Close the bathroom door and inhale the vapors or the steam, by covering your head with a towel, as you sit near the bucket of water with your head leaned about it. This is one of the good home remedies for pneumonia in kids and adults. This kitchen essential and natural remedies can work miracles. Put in a tablespoon of sesame seeds to a cup of boiling water. Once they are soft, add one tablespoon of flax seeds and boil for another 5 minutes or so. Strain the water. Combine a pinch of salt and a teaspoon of honey, for better taste. Drink this every morning, on an empty stomach. Gargle with salt water, at least, 3 times a day to lessen the symptoms. It will help clear the respiratory tract and clear your chest off any a cough. Vegetables such as cucumbers, beets, carrots and spinach help boost the immune system and are good detoxification agents. Mix up together in the ratio 1:1:3 cucumber juice, beet juice, and carrot juice. Drink this daily on an empty stomach. Mix spinach juice with carrot juice as per the taste you prefer and have this mixture several times a day to clear the bronchial system. Make a cup of black tea, combine in 3 teaspoons of fenugreek seed powder and 1 teaspoon of honey or sugar as per your taste. Mix well and drink this tea once in a day. Grate a piece of ginger and extract its juice. Blend 1 teaspoon of honey and a few drops of lemon juice in it. Have this every day before going to bed and the ginger’s anti-inflammatory agent will do the job. Mix turpentine oil and camphor in a bowl and apply it on your chest. Gently massage the oil on the skin. Put on a sweater. Potassium is good for people suffering from pneumonia, as it helps to repair the lungs tissues. One must have as much potassium as possible during the entire spell of pneumonia. In a pot, combine all the ingredients together and bring to a boil. Reduce the heat and simmer for a few minutes. Strain the juice. Have the broth along with your lunch. Note- People who suffer from a heart illness should avoid potassium, as high levels of potassium in their bodies can lead to other complications. Mix 20 drops of either Eucalyptus or tea tree oil with 1 tablespoon of any carrier oil. Rub it on your chest at night before going to sleep. You can adjust the quantity of the oils if you want to make more quantities of the chest rub. To make a heat pack, heat an oven at low temperature. Moisten a cotton cloth with any carrier oil and place it in the oven to warm it up. Once it is warm enough remove from oven and pour on the cloth a few drops of either eucalyptus or tea tree oil. With gentle hands, rub the cloth, so the oils are distributed equally on the entire cloth. Now place the cloth on your chest as you lie down flat on your back. Put a hot water bag on top of the cloth and stay in this position for a minimum of half an hour. Repeat 2-3 times in a day for better results. Baking soda helps remove toxins from the body. Mix ¼ tsp of baking soda to 300ml of warm water and drink two times in a day. Parsnips contain many vitamins and are high in potassium, which is ideal for treating pneumonia. Drink a glass of freshly made parsnip juice every day. Lemons are known for their antibacterial properties, as they are rich in Vitamin C. They help reduce the body temperature and boost the immune system. Get juice of half a lemon and mix it in a glass of warm water. Sprinkle a pinch of rock salt and drink this juice every day to alleviate the symptoms of pneumonia. Take 1½ cups of water and mix it with one teaspoon each of ginger and fenugreek seeds, one clove of garlic and a dash of cayenne pepper. Bring to a boil and strain in a cup. Blend juice of half a lemon and ½ teaspoon honey to improve the flavor. Drink this herbal tea 3 times in a day, and then drink less as you feel better. Fry some pumpkin leaf stalks in olive oil. Allow them to cool and then make a paste. Massage the paste over your ribs to get relief from the pain caused by pneumonia. Using a mortar and pestle, crush some basil leaves to extract the juice (you may use a few drops of water) and keep aside. In the same mortar, grind some peppercorns to make a rough powder. Mix the ground pepper to the basil and eat it in intervals of 6 to 7 hours. Turmeric is the best known medical herb. It works as an antifungal, antiseptic, antiviral as well as anti-bacterial treatment. Turmeric is an extremely powerful herb which can cure pneumonia easily. Mix a teaspoon of turmeric with a glass of warm milk or water, and add a pinch of salt. Drink this every day before going to bed at night. If you opt for milk, do not drink water for minimum half an hour. Warm some water and blend a ¼ teaspoon of black pepper powder and 1½ teaspoon of turmeric. Have this once a day till you recover. The Chinese have used astragalus herb as part of their traditional medicine for years, as it helps boost the immune system. However, before you try this herb, consult your doctor, as it may react with other prescribed medications. In a pan, soak some shredded Astragalus roots, a few cloves, and a cinnamon stick in water and leave overnight. Next morning, put the pan on the gas and simmer for half an hour. Take two tablespoons of this liquid every day in the morning. Oregano is an antiviral, antifungal and antibacterial herb that is ideal for fighting germs which cause pneumonia. Before you hit the sack, put a few drops of the oil on a handkerchief or on your pillow. The vapors will help clear the congestion in your chest. You can use eucalyptus oil the same way. Get some water in a saucepan, followed by all the other ingredients. Boil the water and then simmer until it becomes half of the original measure. Remove it from the gas and strain the liquid. Allow it to cool and then place in the refrigerator. Take half a teaspoon at two-hour intervals. Place all ingredients except honey in a jar. Pour the hot water on the herbs and steep for minimum 5-6 minutes. Use honey as a sweetener. Drink this tea twice a day on alternate days, for three weeks or until you recover. Place dried coltsfoot flowers in a jar and pour the hot water over it. Keep it aside for 10 minutes and then strain the liquid. Have one or two cups a day and avoid having it for more than four weeks in a year. Note: Do not give this tea to children and people who suffer from high blood pressure. Mustard is an antioxidant and can help open up the pores of the skin. To make a mustard pack, mix equal quantities of wheat flour and mustard seed powder. Now blend it with one egg and a bit of water. Apply this paste on your chest and leave it on for 20 minutes. Use the pack two times a week. Mullein is a soothing herb that helps combat infections in the lungs. To make a mullein infusion for a cough you will need the following ingredients. When using mullein leaves, be careful to filter the tea, as the hair in the mullein leaves can cause irritation to sensitive skin. Place the herb in a jar. Pour boiling water over it and cover the jar. Leave it for 4 hours or overnight. Sweeten it with honey. Depending on the severity of the ailment, consume 1-4 cups of this infusion every day. You can store this infusion in the refrigerator for 5-6 days. Don’t use mullein leaves while preparing this infusion, as they comprise of rotenone which may be harmful when taken for a longer time. People suffering from liver or kidney disorders, young kids, and pregnant women should not use mullein. Elecampane is an expectorant herb with anti-bacterial qualities, which help clear the respiratory system. It is ideal for curing illnesses such as pneumonia, tuberculosis, bronchitis, and cough. To prepare a decoction, you will need the roots and some water. You can use either fresh or dry root. Mix approximately 3 tablespoons with 400ml of warm water. Drink ½ a teaspoon, 5 times a day. Pleurisy helps reduce inflammation in the lungs. One must have a cup of pleurisy root tea every hour. 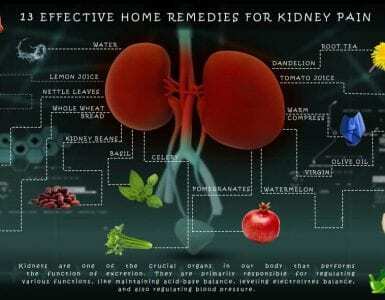 Simply add 1 teaspoon of pleurisy root powder to a cup of boiling water and steep for a minimum of 15 minutes. Sip this tea three times a day. Note- Avoid excessive intake of this herb, as it may cause irregular heartbeat, stomach ache, vomiting, and nausea. Breastfeeding mother, pregnant women and people with heart disorders must not take pleurisy root herb. Goldenseal helps the body boost its immune system, by clearing away any infections in the body. It also assists in killing any bad bacteria, which ultimately improves the digestive system. You can easily find goldenseal tea bags at herbal shops. To prepare the tea, dip a bag in a cup of water and allow it to steep for about 7 minutes. Remove the bag and add milk, honey or sugar, as per your taste. Drink a cup of goldenseal tea three times a day. Note- If you are pregnant or are nursing a child, it is advisable to consult your doctor before you use this home remedies for pneumonia and bronchitis. Elderflower is an anti-inflammatory, antioxidant and antiviral herb that is rich in vitamin A and C. Boil 150ml of water and add 4 grams of dry elderflower. Let the mixture steep for 20 minutes and drink ½ a cup once in a week. Plantain is known as the mother of all herbs. 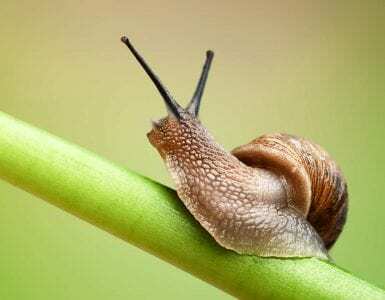 Its leaves have to purify properties that help clear the infection in the lungs. To make a cup of plantain tea, use equal portions of plantain herb and thyme herb and combine it with 150ml of boiling water. Let the mixture steep for a few minutes, before you drink it. Have 5 cups in a day. Drink plenty of water and juices to keep your body hydrated. Increase your intake of Vitamin A and C.
Wash your hands to prevent germs from spreading. Always cover your mouth while sneezing or coughing. Patients who suffer from pneumonia should quit smoking. If you notice any pneumonia symptoms, it is best to consult your doctor. Follow the treatment plan and course of medicines as prescribed by the doctor for a fast recovery. If there’s no improvement in your condition after 3-4 days of your treatment, you need to see your doctor again. It is essential to see a doctor if you are having difficulty breathing, chest pain, a persistent cough, or fever. How to Prevent Pneumonia the Natural Way? Avoid people who are ill whenever possible.